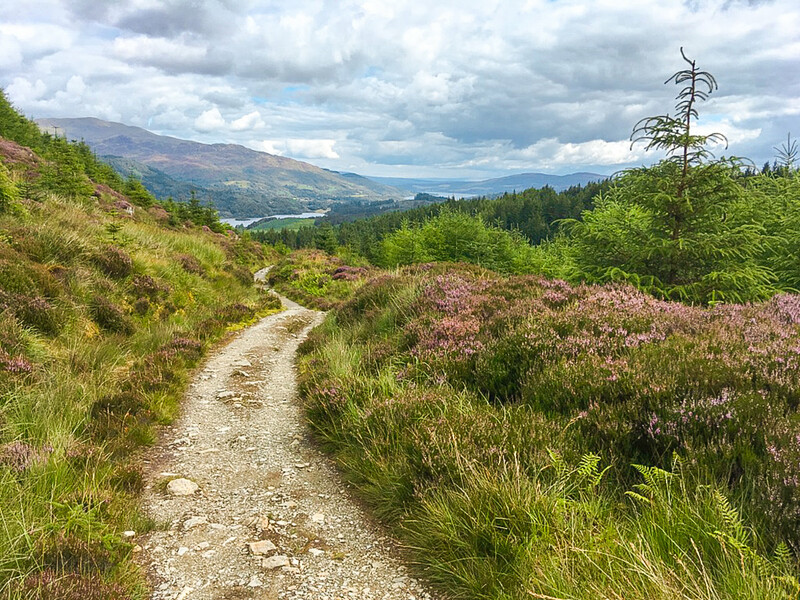 The walk to Ben Venue from Loch Achray is an absolutely exceptional hike. 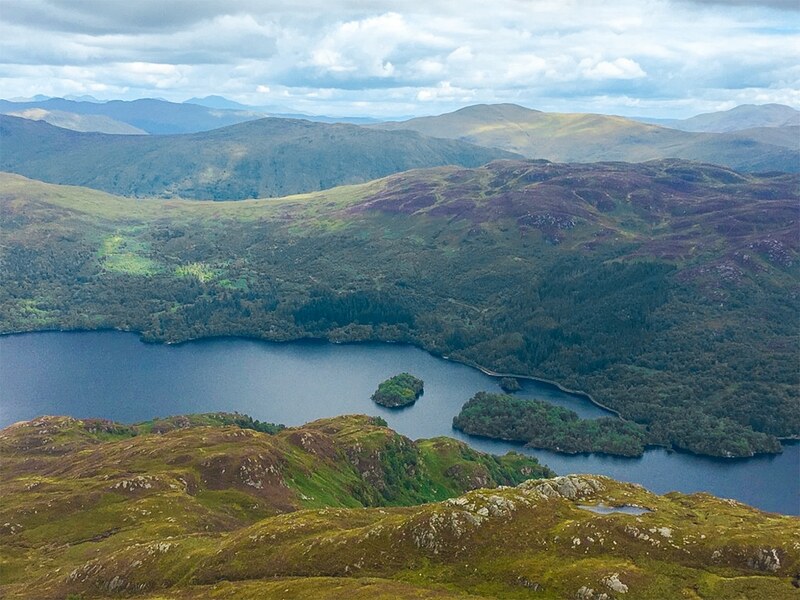 If you get lucky with the weather, the views across Loch Katrine, Ben Lomond and beyond are outstanding. 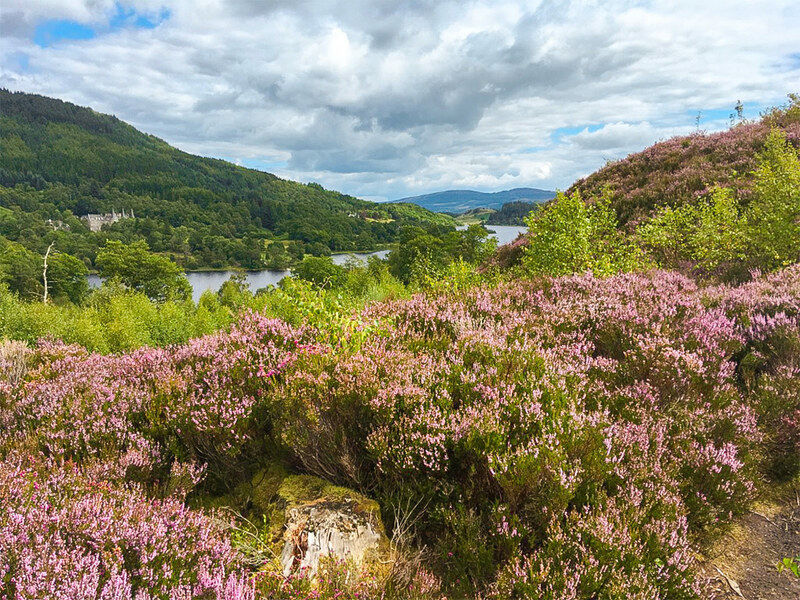 The climb is steady going with several steeper sections where you need your hands, but this is one of our all-time favorite walks in the UK. 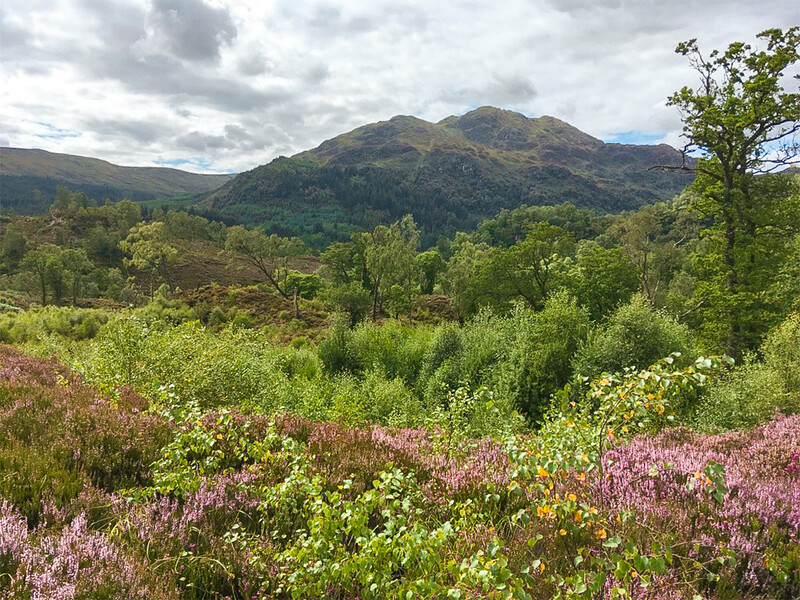 From Aberfoyle head North on the A821 to Callander, after just short of 9.7km, park at the Ben Venue car park on the left-hand side of the road close to the shores of Loch Achray. Car park costs £3 for the day. From the car park, find the footpath that leads off from just beyond the information board and pay station. 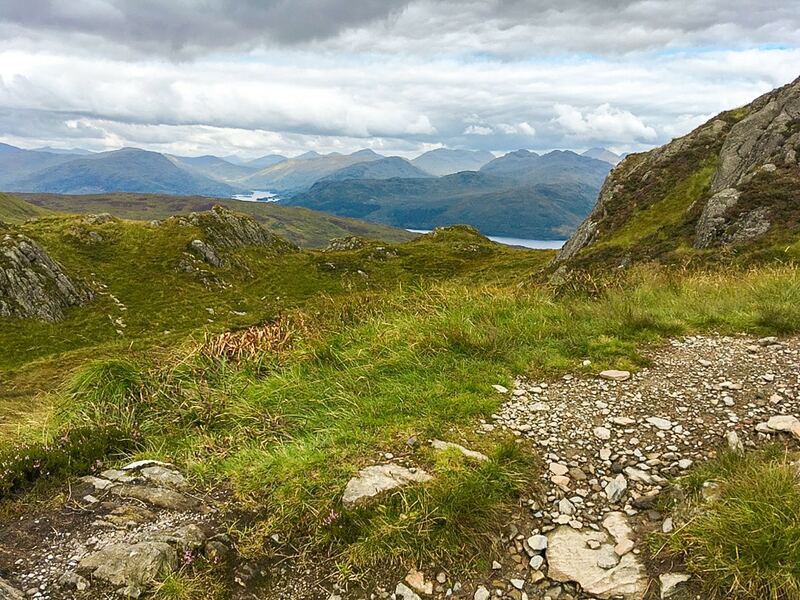 The path winds gently up and provides good views down to Loch Achray and the summit of Ben Venue. At the junction turn right, following the sign for the Ben Venue mountain path. The path crosses a boggy area via a boardwalk, and it then meets a minor road. Turn sharply left up a private road—again—following signs. A little over half a kilometer up the road, turn left onto a footpath that leads to the Achray Water Bridge. After crossing the bridge, turn right onto a broader track, all the while following well-marked footpaths. From the broader track, you’ll walk west for around 300m then take the path on your left into the forest. The path climbs through the forest and then emerges onto another forest track. Turn right at this track to climb through the trees and reach another forest track. Turn left onto that track and then right at the next junction. Soon the path diagonally crosses into another forest track. Ahead is now a long gentle climb up along the treeless, north side of Glean Riabhach. Continue on the main path all the way to the ridge, the path crosses several flattish and slightly boggy areas. The ridge becomes steeper with some rocky parts to negotiate. The path reaches the lowest part of the ridge after 3.0km; a large cairn marks this point. Turn right for the summit of Ben Venue, the path climbs and falls along the ridgeline, and there is a touch of scrambling required; although, it’s not particularly challenging. The ridge provides beautiful views in all directions. 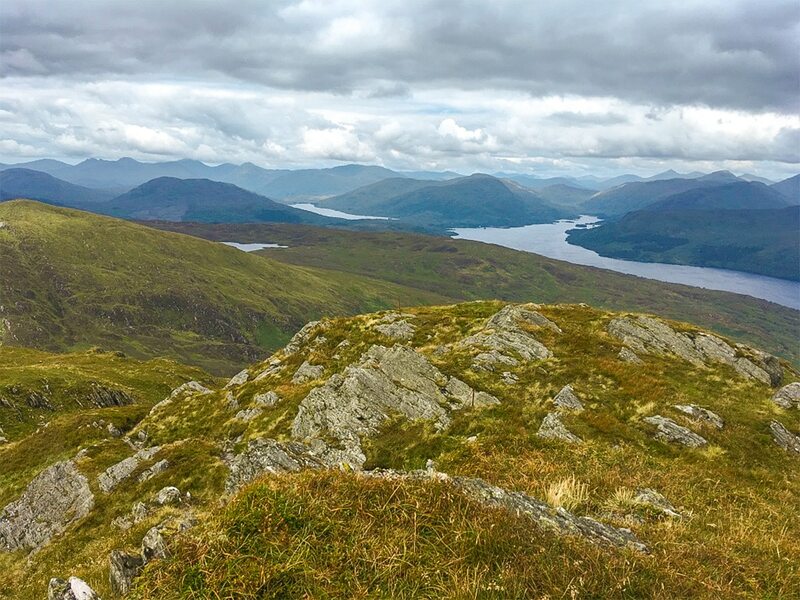 After 500m and a descent, follow the path to the southeast of the summit, this path skirts around the rocky summit and brings you up between the twin summits of Ben Venue. 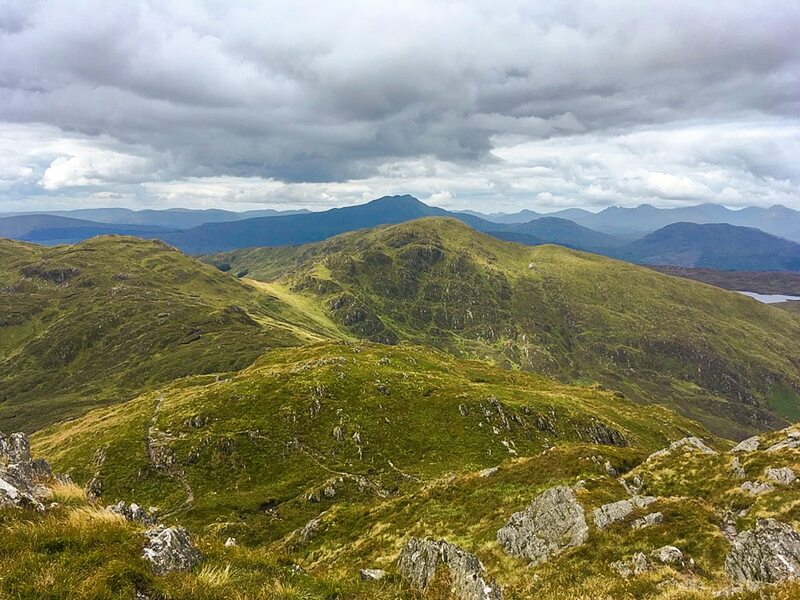 At the junction here, head right to follow an easy scramble to the trig point before retracing your steps and taking the other path to find the small cairn that marks the true summit of Ben Venue. Both are worth a visit! 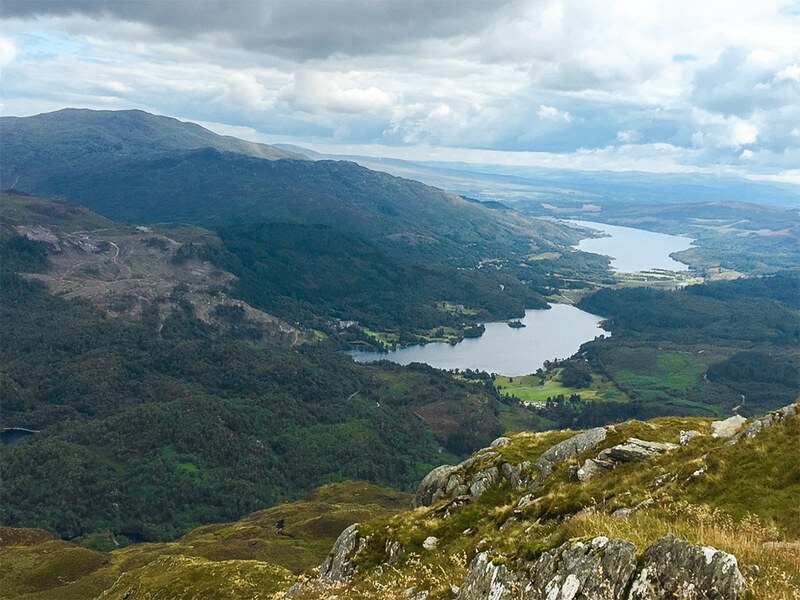 After enjoying the views, and perhaps a spot of lunch, the best option for the descent is to retrace your steps. 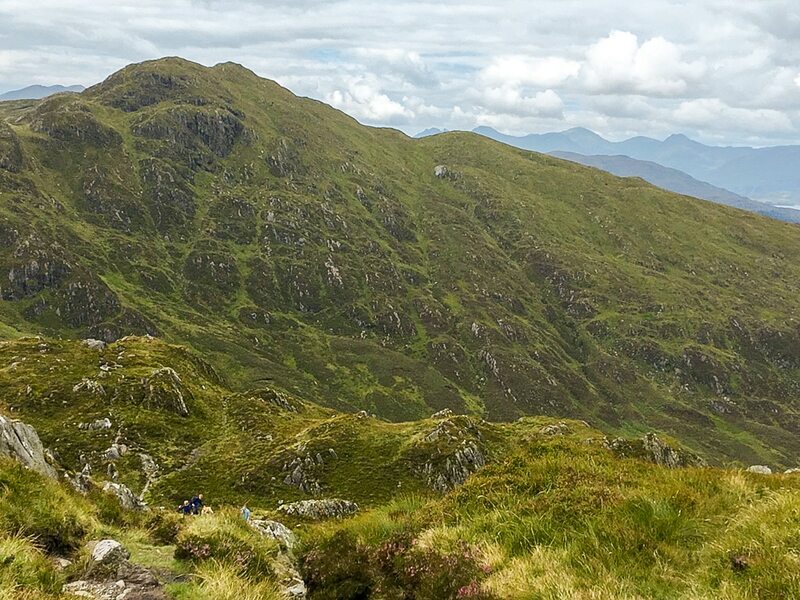 Remember to turn left at the rocky cairn to descend into Gleann Riabhach. Once lower down, the return route is well marked with ‘car park’ signage. Enjoy a picnic at the summit with views beyond description. The car park often gets busy, so arrive early. If you’re not up for the longer Ben Venue hike, take a shorter loop from the car park. 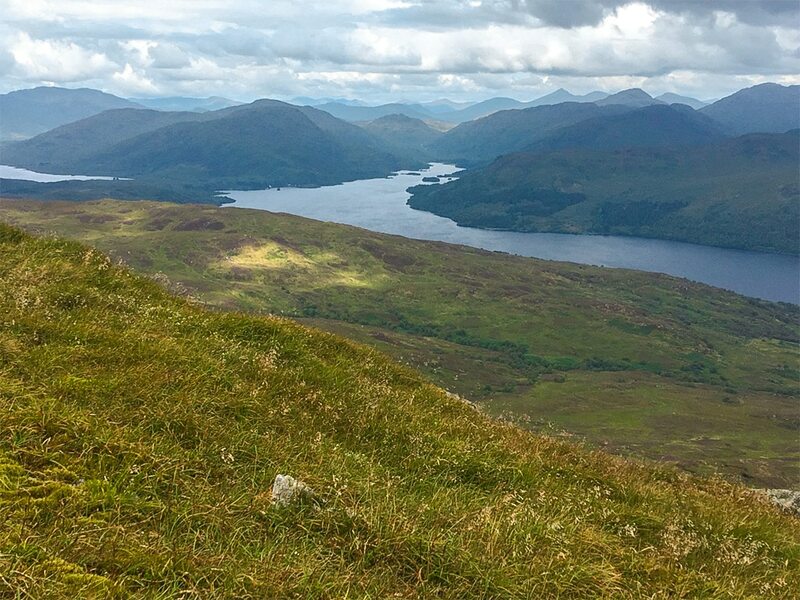 There are still some excellent Scottish views to enjoy (signposted routes available- see information board at car park).